As the internet continues to evolve when it comes to search, navigation, marketing and other common elements that webmasters and bloggers deal with on a daily basis, tactics change in order to keep up with the competition. Not only is the internet a much more competitive place for blogs, brands and businesses than it was ten or even five years ago, but it also is affected by decisions that major search engines like Google make. Subtle changes in search engine algorithms can completely alter your marketing and search engine optimization strategies, so it is important to stay abreast of these changes. There are still some tactics, however, that can be very effective when coupled with an approach based on quality. In the following article, we will discuss some old SEO tactics that still have weight in the right circumstances. In the first days of the internet, pinging servers for information about sites in a category was often done via the use of a directory. Many directories in years past provided users with tens of thousands of links, all classified into navigable categories. As search engines began to catch on to this practice, SEO enthusiasts were forced to look elsewhere for easy link opportunities. There are still some directories out there, however, that can be used for gain. Most notably are niche directories and those that still have high PR. You may need to do some research in order to find these directories, but plenty are still in existence that can provide actual benefit for your site. 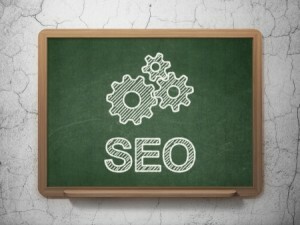 Like all ancient SEO tactics covered here, it is all about quality rather than quantity. Particularly true with forums, all of your links and posts are likely to be deleted within a short time if they are of low quality and appear to be spam. You can still search out forums that are related to your site or blog’s interests and weigh in on discussions. Whenever an opportunity arises to clarify a particular question or engage in a discussion, you may have a blog post or page that provides more information. Careful usage of forum backlinks in this regard can help augment traffic and boost SEO rankings over the long-term. Google recently warned that guest blogging does not provide the same benefit as it once did, but this is the nature of all things SEO. The primary concern about guest blogging not working (or even causing penalties) will ultimately revolve around a webmaster or blogger inundating his or her platform with links to other sites: some bloggers and webmasters will still offer guest blogging as a limited opportunity for those who can produce quality content. If you currently have a website or blog that utilizes a lot of guest posts, however, then it is time to consider scaling back to avoid pinging networks like Google with an excess number of links. Three ancient SEO tactics – the creation of backlinks on forums, the use of guest blogging and the use of directories – can augment your SEO performance even today, as long as you focus on strategies of quality rather than quantity. « What Are My Options for a Mobile Website?